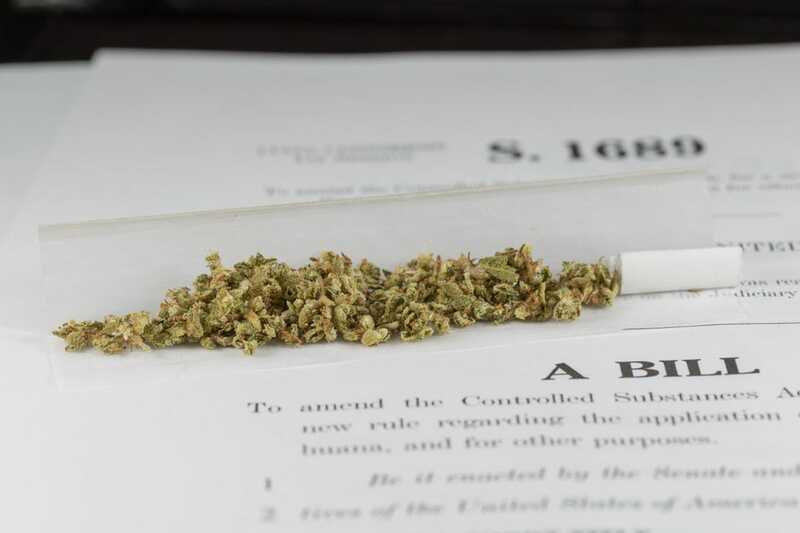 Op-Ed Cannabis crazy: It doesn’t just describe the move to legalize weed. It could happen to you. An author who had ‘an extreme addiction’ to marijuana asks society to consider: Is the high worth the lows? In 2014, our country went cannabis crazy, bringing to 18 the number of states decriminalizing pot. Colorado opened boutiques selling “mountain high suckers” in grape and butterscotch flavors and posted signs that proclaimed the state is “where prohibition ends and the fun begins.” In my New York home, I’m glad that someone can carry up to 50 joints and no longer get thrown in the joint. Yet I worry that user-friendly laws and such recent screen glorifications as “High Maintenance” and “Kid Cannabis” send young people a message that getting stoned is cool and hilarious. I know the dark side. I’m ambivalent about legalizing marijuana because I was addicted for 27 years. After starting to smoke weed at Bob Dylan concerts when I was 13, I saw how it can make you say and do things that are provocative and perilous. I bought pot in bad neighborhoods at 3 a.m., confronted a dealer for selling me a dime bag of oregano, let shady pushers I barely knew deliver marijuana, like pizza, to my home. I mailed weed to my vacation spots and smoked a cocaine-laced joint a bus driver offered when I was his only passenger. Back then Willie Nelson songs, Cheech and Chong routines and “Fast Times at Ridgemont High’s” Jeff Spicoli made getting high seem kooky and harmless. My reality was closer to Walter White’s self-destruction from meth on TV’s “Breaking Bad” and the delusional nightmares in the film “Requiem for a Dream.” Everyone believed you couldn’t get addicted to pot. Turns out I could get hooked on carrot sticks. Marijuana became an extreme addiction for me. I’m not alone. Nearly 17% of those who get high as teenagers will become addicted to marijuana, according to the 2013 edition of the Diagnostic and Statistical Manual of Mental Disorders. The 2012 National Survey on Drug Use and Health found that up to half of daily marijuana smokers become addicted — an estimated 2.7 million people in the U.S. In writing classes I teach in New York and L.A., students from many backgrounds confessed that they “smoked a bowl” or “got ripped” and then got in a car accident, fell on subway tracks, had a wallet or cellphone stolen, were sexually assaulted or had a physical altercation that landed them in the hospital or jail. My undergraduates loved the series “Weeds” and “Harold & Kumar” films and joked about being “cross-faded,” simultaneously imbibing on alcohol and marijuana. Yet I warn them that getting stoned greatly increases the likelihood of something bad happening, reminding them that pot blurs reality, reduces inhibitions — and regularly leads to tragedy. Consider two deaths in 2014 in Colorado that police linked to pot: a 47-year-old man who ate marijuana-infused candy and fatally shot his wife, and a 19-year-old student who ingested a marijuana cookie and jumped to his death. The weed of today is far stronger than in the past. President Obama admitted smoking marijuana as a teen and said it’s no worse than alcohol but hopes his daughters will avoid “the bad habit.” The new edible pot products can be 10 times stronger than a traditional joint, says a report in the New England Journal of Medicine. The strength of pot varies, and it’s impossible to predict its effect. How you react to marijuana depends on your size, what you’ve eaten, the medications you take. As I tapered off, one hit from a pipe or bong could leave me reeling, as if I’d had five drinks. Marijuana use doubles the risk of being in a car accident if you drive soon after smoking it, and it causes more car accidents than any other illicit drugs, according to Columbia University researchers. They found it contributed to 12% of traffic deaths in the U.S. in 2010, triple the rate of a decade earlier. The medical side effects are also significant. Smoking pot increases the risk of lung cancer 8%, according to British and New Zealand studies. It’s associated with bronchitis, respiratory infections and increases the risk of heart attack and stroke, concluded a New England Journal study. Another 2014 study found frequent use by teenagers and young adults causes cognitive decline and decreases IQ. Marijuana essentially fries your brain. Being a stoner was easy. Quitting was hard but gave me more to live for. Before jumping on the buzzed bandwagon in the new year, throwing a pot dessert party or voting to lift all restrictions across the nation, ask yourself and your kids: Is the high worth the lows? We shouldn’t send pot smokers to prison, but they don’t belong on pop-culture pedestals either. Reblogged this on Aviseur International.